I just called on my Senators to support Senators Udall and Merkley's amendments to the Defense Authorization Act. Senator Udall's amendment removes dangerous language that would expand presidential powers to launch new wars and imprison U.S. citizens without charge or trial. And Senator Merkley's amendment to the same bill requests a plan to end U.S. war making in Afghanistan prior to December 2014. Given that the US is armed high above the teeth, widely regarded as global policeman, and a worldwide empire, that is aggressively engaged in wrongful wars, I think that foreign invasion is the least of our worries at this time. This has been the state of the US ever since I learned of the league, which I applaud for their resistance to this ugly war machine. I have been a war resister since I was six years old, thanks in part to the league. That was 1966. Now the US is proposing overt police state legislation in the Senate, buried in the defense authorization bill. Draconian internet censorship measures are expected to pass in Congress. The people of the world have been so grossly abused at the hand of the US gov, that we can expect massive blowback in due course. The process is already underway. Such a pity, as the US had a far better potential than this. All tyranny faces justice eventually. 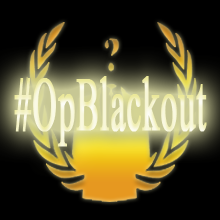 Down with SOPA! Down with PIPA! Stop censorship! 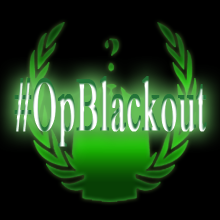 Here are some avatar blackout icons for your Twitter and Facebook accounts from Operation Blackout. Black out your avatar to stop censorship. For more information look up #OpBlackout, or check the pastebin, http://t.co/U8gY7Ew7 . GNU-Darwin is participating in the web blackout, and the situation is likely to evolve, so be aware of the changes when using the website. It is an invitation for you to participate. 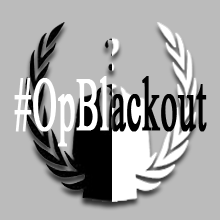 GNU-Darwin joins Operation Blackout to stop censorship. Stop SOPA! -Toshiba America Business Solutions, Inc. I just took action to stop the Keystone XL pipeline. Will you join me? While the Obama administration’s recent decision will delay the Keystone XL pipeline, there is still a very real threat that the pipeline could be approved in the future, with reroute plans as one alternative the corporation is considering. There are still other tar sands pipeline proposals on the horizon. Tell President Obama, Secretary of State Clinton and other State Department officials to reject the Keystone XL Pipeline, any other proposed tar sands pipelines, and to move away from U.S. dependency on Alberta tar sands oil. The National Defense Authorization Act is now before the Senate. This is an opportunity for Senators to support an accelerated withdrawal of U.S. forces from Afghanistan and to formally end the war in Iraq. Unfortunately, it's also an opportunity for Senators to push the U.S. further towards military confrontation with Iran. Will you join me in writing to your Senators and urging them to press for an expedited military withdrawal from Afghanistan, to repeal the authorization for the use of force in Iraq, and to oppose new sanctions on Iran that could push us towards a military conflict? An open letter to the President of the United States, Barack Obama & the Prime Minister of Australia, Julia Gillard on the occasion of Barack Obama's address to the Australian Parliament on 17th November, 2011. Solidarity for Bradley Manning, Wikileaks Coalition, Peace Bus. While you meet in Australia’s Parliament House, Australians concerned about human rights, peace, justice and equality protest against your policies. We believe that the policies you jointly agree on undermine the security of our future and the opportunity for our children to live in a world free of war and violence; a world where economic equality, freedom of speech, expression and knowledge are sacrosanct. We are prevented from having that world because of the support you give to the military industrial complex, of which Australia is a loyal subsidiary. Those interests would have us believe that they wage war to bring peace and something they call “democracy”. But, after 10 years of war in Afghanistan, and nearly eight years in Iraq, there is scant evidence of any democracy, only destruction and death. Israeli military action against the Palestinians will not bring peace. Israel can continue its apartheid-like policies against the Palestinians because it knows it has Washington’s support. Many dared to dream that you, Barack Obama, would begin to reverse the terrible crimes of your predecessor. Instead your foreign policy is underscored by the same violence and coercion. The stated aim of the wars in Afghanistan and Iraq, to rid the world of terrorism and to bring democracy to the region, was deceptive. Both wars are illegal because they were conducted under false pretences. In his book “Axis of Deceit”, former Australian Intelligence Officer, Andrew Wilkie, now an Independent member of parliament, has said, that the over-riding reason for the invasion of Iraq was “the US’s determination to safeguard and enhance its global ideological, economic and military hegemony.” (64) We believe that the same applies to Afghanistan. The “war on terror” has been used as an excuse to colonise Iraq and Afghanistan. In exchange for aid, the Governments of Iraq and Afghanistan have been coerced into adopting neo-liberal economic policies. In this “privatisation of war”, vital public infrastructure has been sold off or destroyed. Multinational corporations such as Blackwater, KBR (Halliburton), and agribusinesses such as Chemonics Inc, with the support of USAID, can now impose their products on these war-torn nations. Meanwhile, mismanaged foreign aid falls into the hands of Afghan war-lords and criminals, fuelling corruption and violence and preventing Afghans from democratically deciding on their futures. The majority of Australians do not want to benefit from the torture, maiming and impoverishment of civilians, the destruction of people’s livelihoods, and their environment. We call on you Julia Gillard to withdraw all Australian troops from Afghanistan. You are responsible for killing and maiming unknown numbers of innocent men, women and children in Afghanistan and Iraq while peddling the illusion that war and occupation can still bring democracy. The US President has conferred upon himself the right to murder US and other national citizens on the basis of “secret evidence”. Obama has escalated the use of unmanned predator drones to assassinate terrorist suspects, often killing innocent civilians. This undermines the rule of law and violates the US Constitution and the Geneva Convention. These CIA-based actions are morally wrong and set a dangerous precedent. The use of unmanned predator drones should be banned. For years Amnesty International has warned US, NATO and Australia that prisoner transfer agreements with the Afghani National Directorate of Security, will expose prisoners to the risk of torture. In 2010, Amnesty warned the Australian government that prisoners transferred by Australian officials in Afghanistan to US or Afghan detention centres may face torture and that this could put Australia in breach of International laws against torture. There are concerns that changes made to laws in 2009 governing the treatment of prisoners in US custody have loopholes that would allow for torture under specific situations. Barack Obama, for years the US has paid lip service to peace between the Palestinians and Israelis while consistently voting in favor of Israeli interests at the United Nations Security Council and supplying aid and weapons to the Israeli military. Amnesty International reported in 2009 that over a 10-year period up to the year 2017, the US will provide Israel with $30 billion in military aid. Barack Obama, in your September 21, 2011 address to the United Nations General Assembly you used the usual platitudes, the prevaricating language of the insincere, to excuse yourself from supporting Palestinian application for statehood. While in the Occupied Territories, East Jerusalem and throughout the refugee camps, the oppressed and dispossessed Palestinians suffer war, violence and hunger because of Israeli aggression towards them. Julia Gillard deny Palestinians their right to statehood. How do you explain this to Australian Palestinians? You have declared Bradley Manning, the alleged WikiLeaks whistleblower, guilty before he has had his constitutional right to defend himself in a court of law. You have prosecuted more whistleblowers than any of your predecessors. Bradley Manning’s detention conditions at Quantico Marine Base between July 2010 and April 2011 are reported to have included solitary confinement for 23 hours a day for 10 months, sleep deprivation and enforced nakedness during morning inspection. Yale Law School professor, Bruce Ackerman has stated that the treatment reported, “… is a violation of the Eighth Amendment’s prohibition of cruel and unusual punishment, and the Fifth Amendment’s guarantee against punishment without trial.” You continue to deny UN Special Rapporteur on Torture Juan Mendez an unmonitored visit to Bradley Manning to clarify the truth of these reports. Julian Assange has released material, such as the Iraq War Logs and Afghan War Diaries that expose the “corruption, deceit, brutality and criminality of the world’s most powerful factions”. They show the horrific reality of the Iraq and Afghan wars and the degree to which US corporations benefit financially. The Wikileaks cables make it clear that you are both complicit in corruption, war crimes and human rights abuses. By revealing these crimes against humanity, Julian Assange has provided a great service to the public. WikiLeaks has also exposed the degree to which European, British and US government officials knew about the fraudulent activities and dishonest brokering which led to the global financial collapse and the impoverishment of millions in the US and around the world. Barack Obama your attack on Julian Assange makes a mockery of the First Amendment right to free speech. Julia Gillard you are putting the interests of the US-Australia ANZUS alliance before the safety of an Australian citizen. You and Kevin Rudd have yet to apply diplomatic pressure to stop Assange’s possible extradition to the United States, which his lawyers say, would put him in grave danger. We call on you to fulfill your obligation to protect an Australian citizen in serious difficulty overseas. We do not accept that Australia's foreign policy is best served by a war alliance with the US. Signing a pact with the US government to allow joint command of military bases on Australian soil is not about preventing wars. Rather, it is about continuing the current illegal and unpopular wars, and being complicit in starting more. Australians overwhelmingly opposed the invasion of Iraq and, now, the 10-year long war in Afghanistan. Australia's support for the NATO intervention into Libya, and the risk of such an intervention into Iran, will not help the democracy movements in these countries. Rather, these imperial interventions are about helping install compliant rulers with whom imperial powers, including Australia, can do business. Barack Obama and Julia Gillard: We accuse you of putting the interests of corporations and the military industrial complex above the safety and well being of those in your care. 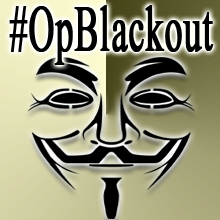 We support the worldwide Occupy movement against corporate greed and war. We, the 99%, want a co-operative and peaceful world. The wars being waged today are wars for the 1%. The light on the hill is out. But around the world, demands for justice, peace and equality, flare like a new sun. I just took action through Grassroots International to help save a Bedouin community that is slated for demolition on November 18. To learn more and add your voice to this struggle, visit http://bit.ly/uRYWJ0. Right now, Congress is debating a law that would give them the power to censor the world's Internet -- creating a blacklist that could target YouTube, Wikileaks and even Avaaz! Now, if we stand with key members of Congress, we can defeat this attempt at global censorship. I've just signed an urgent petition at Avaaz.org to save the Internet. Take Action, Support Free Speech! I just wrote NYC District Attorney Cyrus Vance, Jr. to ask him to dismiss the charges against the more than 700 people who were arrested on October 1, 2011 during a peaceful and orderly march on the Brooklyn Bridge. 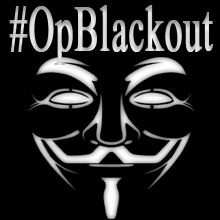 Please help get the charges dropped and write New York City's District Attorney Vance now. http://www2.justiceonline.org/site/Advocacy?s_oo=UoaRiVVB7ryZI6eLMWGu1w&i... If the text above does not appear as a link or it wraps across multiple lines, then copy and paste it into the address area of your browser. Irony Alert: The House is holding hearings on sweeping Internet censorship legislation this week -- and it's censoring the opposition! The bill is backed by Hollywood, Big Pharma, and the Chamber of Commerce. All of them are going to get to testify at the hearing, but the bill's opponents -- tech companies, free speech and human rights activists, and hundreds of thousands of Internet users -- won't have a voice. 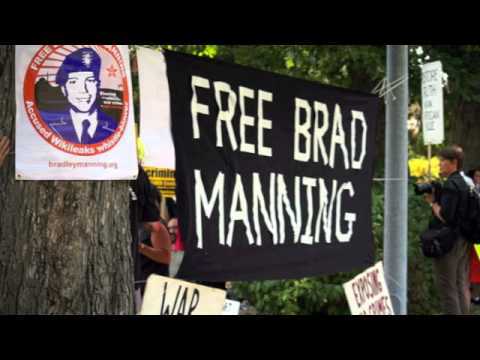 Five months ago, on April 22, 2011, over 400 citizens converged on Quantico Marine Base to protest the pre-trial conditions of alleged Wikileaks whistleblower US Army Private First Class Bradley Manning. Manning was arrested on May 26, 2010, on a U.S. military base in Iraq on suspicion of giving classified material to the website WikiLeaks. I've just signed an important Avaaz petition against cluster bombs. The US is pushing governments to reinstate the use of cluster bombs, allowing weapons that are responsible for killing thousands of innocent children. But we can stop this if we raise our voices together. Thanks to the historic activism and pressure of thousands of people around the country, the State Department and Obama Administration announced today that they will re-evaluate the route of the Keystone XL pipeline, and restart their environmental assessment, which take until at least the beginning of 2013 to complete. This is huge. The decision is not the same as rejecting the pipeline. But it is a major delay. And it is proof that our activism made a difference. The Obama Administration has also said that the new evaluation will take into account the enormous climate change impacts of the pipeline. This is important progress, as the climate change pollution produced by this pipeline was not considered in the State Department's initial sham review. In einem neuen drastischen Video prangert Anonymous Korruption und Gewalt in Mexiko an. Man werde jetzt Gegenmaßnahmen ergreifen, kündigt die Netzbewegung an. Offenbar haben die Aktivisten einen Trumpf in der Hand: Zehntausende abgefangene E-Mails aus Behörden. Hope there is a legal team ready to fight Assange extradition to the US BEFORE it happens. Perhaps people would be willing to contribute. Wikileaks has been engaged in an unusual fund raiser, because normal giving channels are blocked. Please help them, if you can. It is crucial that we continue to resist the anti-Wikileaks grand jury proceedings. I applaud those who have done so thus far. Troops coming home thanks in part to whistle-blower. Troops are coming home from Iraq despite the best efforts of the Obama administration to keep them there. "We're relieved to know all the troops will be home at the end of the year. This would not have been possible without the courageous actions of Wikileaks and the alleged participation of Bradley Manning" says Executive Director of Iraq Veterans Against the War, Jose Vasquez. Until their abrupt reversal a few weeks ago, the Obama administration had been working hard to maintain between 8000 and 20,000 troops in Iraq after the current Status of Forces agreement was set to expire at the end of this year. Fortunately, the Iraqi government refused to renew the judicial immunity, under which the U.S. Armed Forces had been operating. Four supporters of accused WikiLeaks whistle-blower PFC Bradley Manning appeared today before a judge in Manassas, Virginia, to face charges stemming from their arrests in March outside of a Marine military brig in Quantico, Virginia. These supporters were arrested along with many others who are outraged at the abusive confinement conditions to which PFC Manning was subjected during the eight months he was held at the Quantico Pre-Trial Confinement Facility. They were detained after military officials reneged on their offer to allow flowers to be placed at an Iwo Jima Memorial located at the entrance to the base. Among those arrested attempting to lay flowers were veterans and family members of veterans, including Daniel Ellsberg, the “Pentagon Papers” whistle-blower. Instead of accepting their charges and paying fines, these four supporters pleaded not-guilty and chose to assert their First Amendment rights inside the courtroom. Help us help Bradley. Donate to the Bradley Manning Support Network. Don't let the Chicago movement be forced out of Chicago. Let those who occupy the streets have a base where they can stay, regardless that the park arbitrarily closes at 11 p.m.
"Rahm Emanuel, stop the mass arrests of protesters in Grant Park. Respect their right to peacefully assemble, and allow them to have a base to protest from. Don't let this end like 1968." In the past month, nine Buddhist monks and nuns have set themselves on fire to protest a growing Chinese crackdown in Tibet. These tragic acts are a desperate cry for help -- and we can answer their call. China restricts access to the region, but if we can get key governments with close ties to China to send diplomats to the area, it will expose this growing brutality and save lives. to the aspirations of a emergent movement and rising generation. the future might be like. your local #Occupy by SMS text. information. They are making history. Happy Reading! support, or else it may your assembly that is in the crosshairs next. We must protect our liberties. On Tuesday, Senator Rand Paul (R-KY) is expected to force a vote in the Senate to prevent the EPA from implementing its life-saving Cross State Air Pollution rule. Because the Tea Party darling Sen. Paul is using an obscure procedural tactic called the Congressional Review Act, he only needs 51 votes to pass the law to handcuff the EPA from enforcing the Clean Air Act. Support in the Senate for the Clean Air Act is extremely tenuous. I just signed a petition making sure my Senators know I expect them to protect my health and reject the Tea Party's attack on clean air. We need whistle-blowers. Three reasons why. Daniel Ellsberg talks about government secrecy and foreign policy. He stresses the importance of whistle-blowers who have the courage to speak truth to power, and he defends the actions of accused WikiLeaks whistle-blower PFC Bradley Manning. 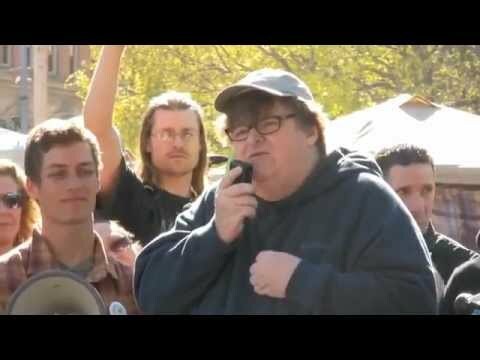 Michael Moore asks #Occupy SF supporters to name their encampment after Bradley Manning. He pins some of the movements inspiration to Bradley Manning's actions, arguing that "when you draw a line from A to B to C, we are in this park today in part to his courage." Our own Emma Cape’s presentation at Swarthmore college is covered by Anti War Radio. Why should we support whistle-blowers? Shouldn’t some information be kept secret? We need whistle-blowers, Emma Cape argues, because it’s clear the government has been keeping too much from the public. This legislation is an example of the severely flawed thinking you get when approaching issues in terms of "intellectual property". We helped stop this bill before, but now it's back under a different name. Please take a minute and help stop this one too! You can unsubscribe to this mailing-list by visiting the link http://crm.fsf.org/index.php?q=civicrm/mailing/unsubscribe&reset=1&jid=125339&qid=752337&h=9c48a8388087616f. UNICEF USA: Tell the whole world about the 320,000 starving children on the brink of death in East Africa. Don't let the world forget Elijah and the 320,000 children starving to death in Africa. You and so many like you have been incredibly generous, helping UNICEF feed and treat hundreds of thousands of children. But tragically, 320,000 children are still acutely malnourished and on the brink of death in East Africa. Elijah is one of them. He is 11 months old – though he doesn't look like it. When he was admitted to the UNICEF-supported Provide Clinic in Korogocho in Nairobi, Kenya, he weighed less than 10 pounds. He had malaria and measles, and suffered dramatic weight loss. He can make it. But only if the world remembers we have the power, and the will, to save lives. More people need to see these images, need to read these stories... and it starts with you. I want you to share the image in this email. It's so easy – just click here and click "Share" to share with your friends on Facebook. Or, forward this email to a friend. There are more than 600,000 people receiving this image of Elijah today. All it will take is each of us sharing this image once – either on Facebook or by forwarding this email – and we will literally flood the Internet with a simple, powerful story. This is precisely what this crisis needs right now. But it won't work without each us doing our part right now and sharing this image. Let's use our collective power to turn the world's eyes back to the children who desperately need more help. P.S. – You can also make a donation, right now, to help save children's lives in the Horn of Africa. In an anonymous industrial park in Virginia, in an unassuming brick building, the CIA is following tweets – up to five million a day. At the agency’s Open Source Center, a team known affectionately as the “vengeful librarians” also pores over Facebook, newspapers, TV news channels, local radio stations, Internet chat rooms – anything overseas that anyone can access and contribute to openly. Way to go! You earned a President's Challenge award! and good for your health too! may not be able to resist the temptation! Good health feels good. Subject: Way to go! You earned a President's Challenge award! You did it, Michael L.! You earned a Presidential Champions Bronze Award! What progress! What dedication! What a lot of points! You deserve a pat on the backâ"and a T-shirt, medallion, or other reminder of your achievement. Check out our selection in the President's Challenge Shop, and keep up the good work! Americans are paying a heavy price for Wall Street greed. Millions are out of work, millions face foreclosure, and millions more are feeling the pain in some other way. But not one of the Wall Street crooks who drove our economy off a cliff has gone to jail. And without aggressive investigation and prosecution of misconduct, none of them will. Yet even as thousands are in the streets demanding Wall Street accountability, high-ranking officials in the Obama administration are actively pushing state Attorneys General to cut a terrible deal in the next few weeks with mortgage firms that lets these giant institutions off the hook for what appears to be widespread mortgage and foreclosure fraud. President Obama needs to step in and put a stop to this. I told President Obama not to sell us out to Wall Street, and I hope you will too. You can sign the petition at the link below. Massive corporations have paid to sponsor the G20 summit and get access to our elected leaders, while people are locked out! Our massive outcry to Nicolas Sarkozy, boosted by a media firestorm, can kick out the sponsors and reclaim the G20 for the public good. For weeks we've watched the State Department's sham review of Keystone XL unfold, with no calls from congress for corrective action. The silence was finally shattered this week, as a group of 14 Senators and Representatives, led by Sen. Bernie Sanders, sent a letter to the President and the Inspector General of the State Department, calling for a formal investigation into this scandal. This process being conducted by the State Department is a crime in progress. But with a final decision is coming before the end of the year, it's not over yet. I just signed a petition joining congressional leaders in calling for an independent investigation into the State Department's tar sands scandal.